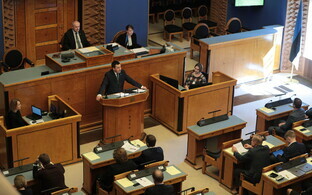 While Kaja Kallas, chairwoman of the Riigikogu election-winning Reform Party, won't receive the support of the Riigikogu for the formation of a government on 15 April, it won't be easy for continuing Prime Minister Jüri Ratas either, who is on shaky ground with several of the candidates for minister in his new government and has the president staring him down no less, writes journalist Toomas Sildam. 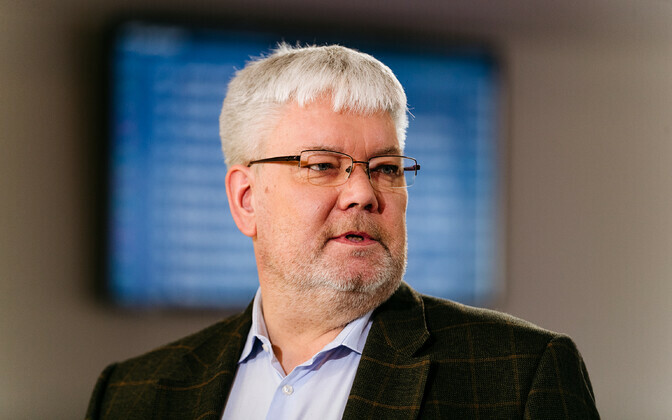 Ukrainian labour will be the death of the Estonian economy, and our business-owners aren't looking hard enough if they can't find labour locally, Conservative People's Party of Estonia (EKRE) chairman Mart Helme criticised in a 9 April interview with ERR. 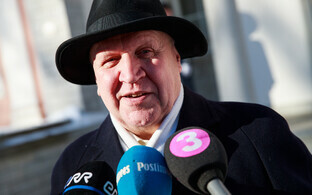 This is the candidate for Minister of the Interior in Jüri Ratas' second government. 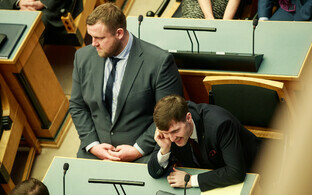 Meelis Venno, owner of a 1,500-head dairy herd and Viljandi County agricultural holding Mangeni PM, slammed him in response, saying that Mr Helme's talk demonstrates that the politician has ended up very far removed from real life and has no idea what goes on outside of Tallinn. Mr Venno hires workers from Ukraine seasonally as well. While Mart Helme criticised business-owners for either not wanting or not being capable of paying Estonians normal wages and instead bringing in slave labour, Meelis Venno pays the Ukrainians exactly the same wages as he does locals. If Mr Helme wants to come milk cows, then he is welcome, and bring his son Martin, the candidate for Minister of Finance; the cows are waiting, he wrote to the likely new Minister of the Interior. 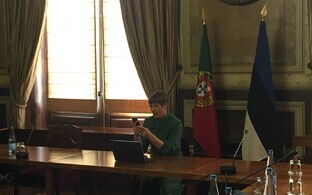 Then President Kersti Kaljulaid got involved. The head of state paid a surprise visit to Meelis Venno's farm, donned a white smock and met with the business-owners and employees. She said that she very much respected them, as life in Estonia's rural regions is dependent largely upon such people and businesses. This was a public throwing down of the gauntlet against EKRE, with whom the leaders of the Centre Party and Isamaa signed a new government coalition agreement. President Kaljulaid did skip Sunday's "Kõigi Eesti" concert at the Tallinn Song Festival Grounds, in her words so as no to end up too deeply entrenched between EKRE supporters on one side and opponents of EKRE on the other. But in the fight over Ukrainian labour, she chose a side. EKRE fought right back as well. The national conservatists' news portal summed up the entire story thus: President Kaljulaid blessed the import of foreign labour, the dragging of the Helmes and all of EKRE through the mud, and the fact that Meelis Venno is a good farmer was apparently of tertiary importance — what was important was that the president got involved in politics, and siding with the globalists. We'll see going forward what will happen when Ms Kaljulaid tasks Jüri Ratas with forming a government and meets with the new cabinet's problematic or unknown candidates for minister. After all, the president promised in a radio interview with ERR's Mirko Ojakivi that she would definitely meet with those whose plans she either couldn't understand or knew nothing about. For those who can read between the lines, there is a quite a bit of judgment there. Weighing up the new ministers should be the goal of these meetings. Picture this for a minute. President talking to candidate for Minister of the Interior Mart Helme about the possibility or rather the impossibility of the "deep state" and the network of influence supported by it. With candidate for Minister of Rural Affairs Mart Järvik, she asks about his sketchy social media posts, the importance of EU agricultural support negotiations, and the new minister's wish to restore Estonian rural life as it was in the 1930s (by the bye, in summer 1939, a total of 4,756 Poles worked on farms here due to people leaving and the resulting labour shortage). It would be appropriate to talk about conservative fiscal policy with candidate for Minister of Finance Martin Helme. It would be fitting to talk to candidate for Minister of Foreign Trade and IT Marti Kuusik about his doubts about e-elections. She could discuss with Urmas Reinsalu, the candidate for Minister of Foreign Affairs, whether and how to keep Estonian internal and foreign policy independent of one another, and ask whether and when the new minister would present the government with a letter to the Secretary-General of the UN that would dilute the support Estonia demonstrated for the UN's Global Compact for Migration a few months ago. If doubt is cast on anyone's fitness for a position as minister in the course of these discussions, the Constitution has tied the president's hands — the government presented by the prime minister must be appointed to office by the president. 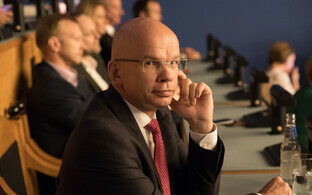 President Lennart Meri once tried to eclipse the Constitution, when in January 1994 he rejected Prime Minister Mart Laar's proposal to dismiss Toomas Sildmäe as miniser and appoint Heiki Kranich as minister. 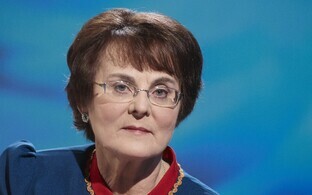 Ultimately even Lennart Meri, the first head of state of the newly reindependent Estonia, had to bend to the Constitution — Sildmäe was dismissed, and Kranich was installed. If Kersti Kaljulaid now appoints all of these candidates for minister after meeting with them, despite her personal opinion and part of the public's expectations, with her signature she will be recognising Jüri Ratas' candidates to be suitable for the government. Of course the president can tell us what she thinks of someone's views and previous statements. Only that then she is still in the same trenches she tried to climb out of by not going to Sunday's "Kõigi Eesti" concert, she has already gotten involved, and she cannot take that step back. 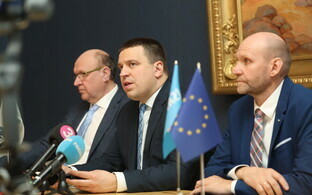 Regardless of whether their name is Meri, Rüütel, Ilves or Kaljulaid, the president, who is the senior leader of national defence and who represents Estonia in international relations, has considered it good practice for the chairperson of the party forming the government to discuss with the head of state the candidacies for the ministers of defence and foreign affairs, as well as inform them of the possible names of the new ministers of the interior, justice, finance and economics. 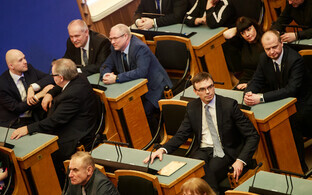 All of these ministers together with the prime minister and the president of the Riigikogu belong to the National Defence Council, which the president convenes when necessary. It is unknown how this worked during the negotiations for the formation of the KEI coalition — the Centre, EKRE, Isamaa coalition. 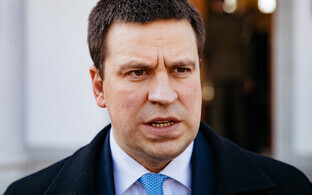 In any case, Jüri Ratas is keeping a worried eye on all of this. The road to taking office in his second government is a bumpy one. 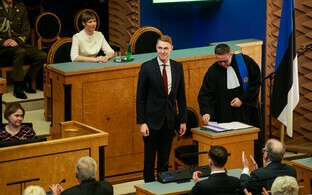 And there is at least two weeks to go, apparently until 29 April, until his new ministers give their oaths of office before the Riigikogu.